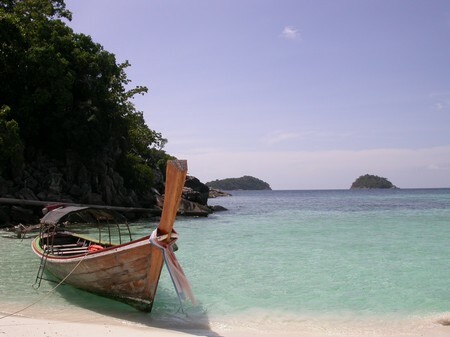 Beaches of Thailand, Thai Beach, white beach. 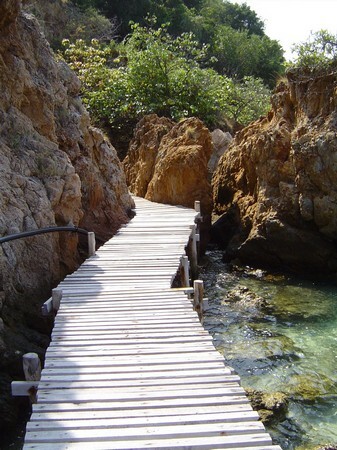 On this page we show you thumbnails images from various beaches in Thailand. 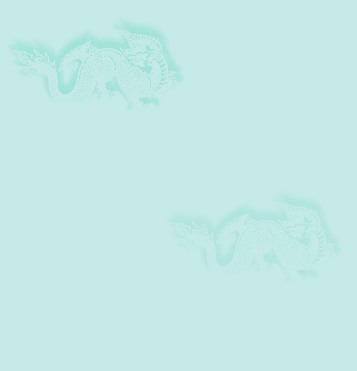 When clicking on a thumbnail a new page will be opend with the picture in a bigger resolution completed with some additonal information. enough to make you wish you are there. 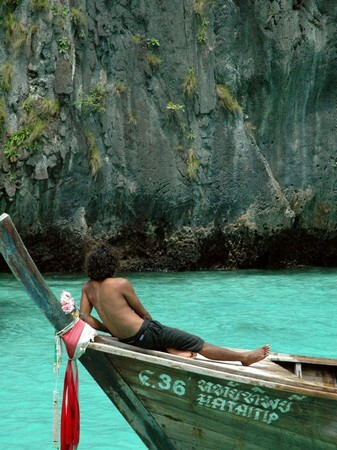 A man daydreaming as he gazes at the blue waters of a Thai beach. 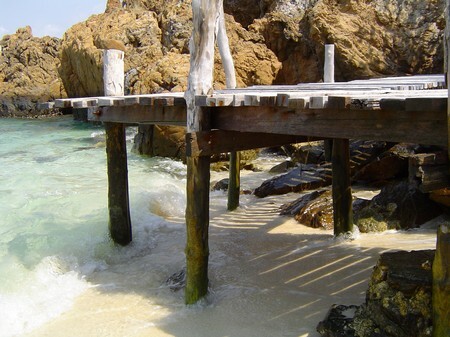 These Thai Beaches are most wanted by tourists. These rocks are abundant at the beaches. The boardwalk's end is a nice place to wait for the sunset. 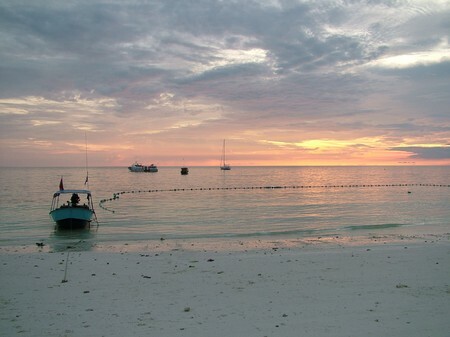 This view of sunset at a Thai beach is very much worth waiting for. 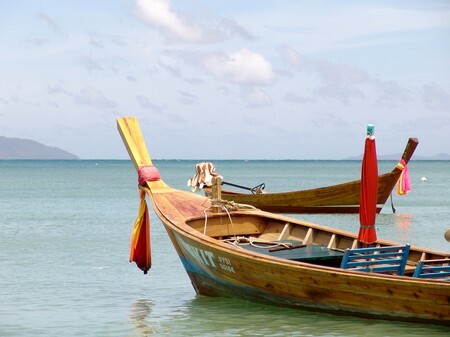 These boats can offer tourists a ride to remember in Thailand. 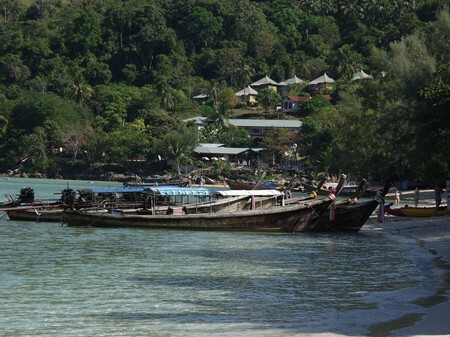 These boats on Thai Shores are just waiting for passengers who wish to tour the coastline. 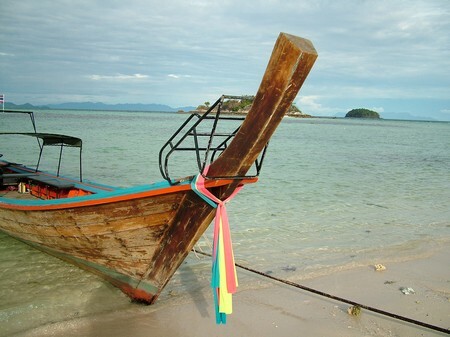 This boat is just one of the many tourist boats in Thailand. 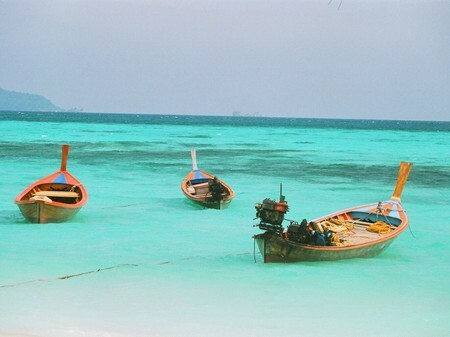 Boats in Thailand are often used for local and tourist transportation. Along the shore, boats like this are always available for tourists who like some adventure. 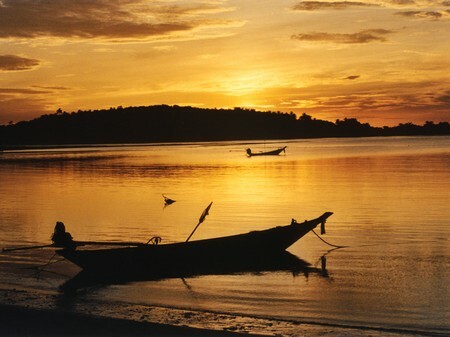 A majestic view of sunset in one of Thailand's Beaches. 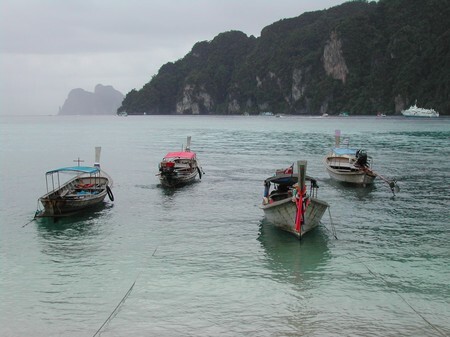 Its a cloudy afternoon in the beach as these boats wait for passengers. 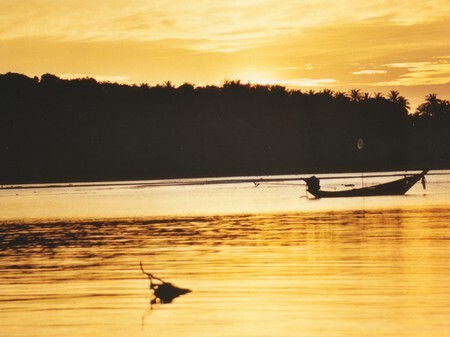 A silhouette of a boat amidst the golden sunset sky. These boats are waiting for passengers who would like to explore the coastal areas. 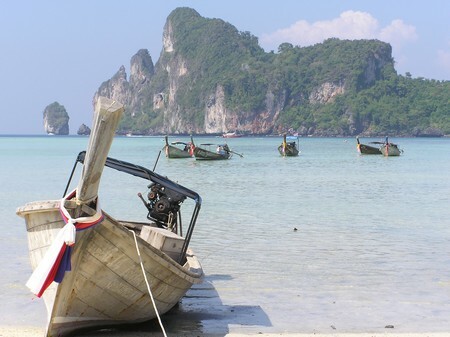 This picturesque scenery of Thailand is better explored if you would ride on one of this boats. These palm trees offer visitors a shade against the strong summer sun. Ao Nang Beach is located at the center of the coastal province of Krabi Town, Cha Am Beach can be found at Phetchaburi Province, and Had Rin Beach is at south of Ko Pha Ngan Island. 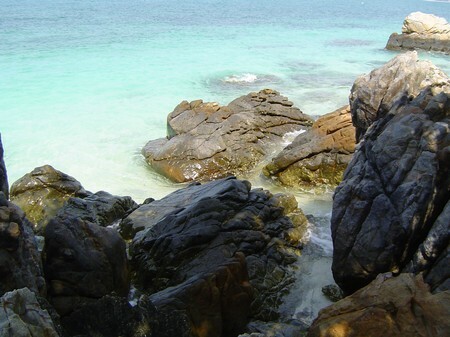 The most popular, Karon Beach is at the West Coast of Phuket, Thailand. 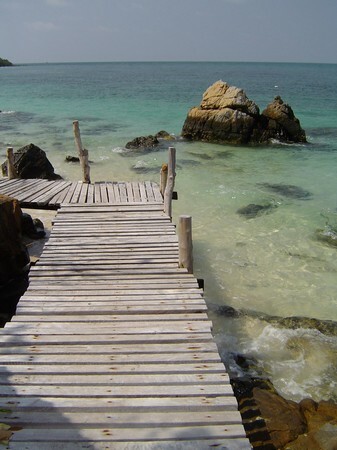 Ranked 30 out of 100 among the beaches in Australasia is Kata Noi Beach, which is also in Phucket. 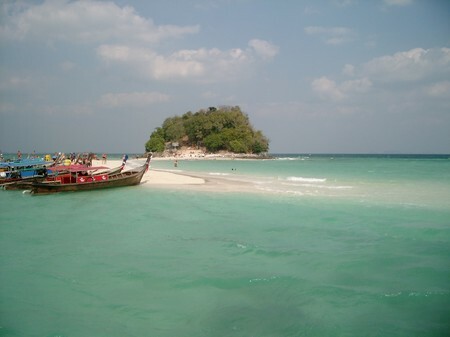 Also nearby is Kao Lak Beach, which is at the north. At Phi Phi Islands is Ko Phi Pi Don Beach. 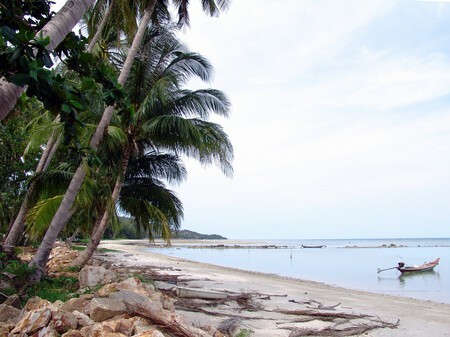 Meanwhile, a white sand beach, Narathat, is at the province of Narathiwat. 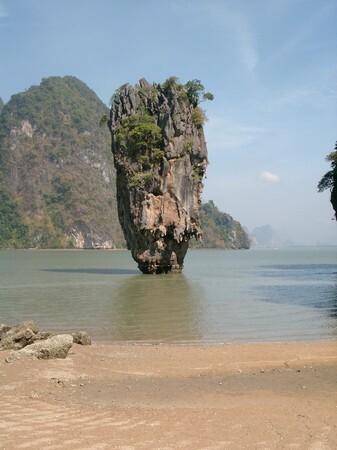 Between Krabi City and Ao Nang is also a beach known as Railay. Aside from beaches, Thailand can also boast of beautiful islands like Ko Chang, Koh Lanta, Koh Phangan, Koh Jum, Koh Tao, Koh Samet, Koh Phi Phi.